A target of many student groups was the war in Vietnam. In April 1965, SDS organized a march on Washington for peace; about twenty thousand people attended. That same week, the faculty at the University of Michigan suspended classes and conducted a 24-hour “teach-in” on the war. The idea quickly spread, and on May 15, the first national “teach-in” was held at 122 colleges and universities across the nation. Originally designed to be a debate on the pros and cons of the war, at Berkeley, the teach-ins became massive antiwar rallies. 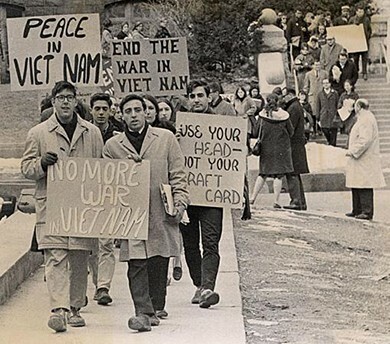 By the end of that year, there had been antiwar rallies in some sixty cities. 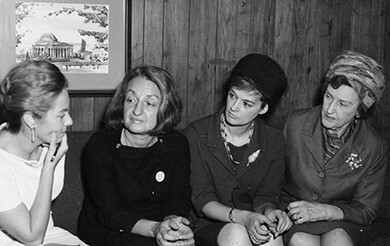 In 1966, the National Organization for Women (NOW) formed and proceeded to set an agenda for the feminist movement. Framed by a statement of purpose written by Friedan, the agenda began by proclaiming NOW’s goal to make possible women’s participation in all aspects of American life and to gain for them all the rights enjoyed by men. Among the specific goals was the passage of the Equal Rights Amendment (yet to be adopted).